“I love it,” responded the woman next to her. I agree. With both of them. The Carnival Victory is definitely decorated to the hilt. Flashing lights. Lavish turquoise and sea green colors everywhere. Statues of mermaids and seahorses. Four glass elevators zooming up and down. 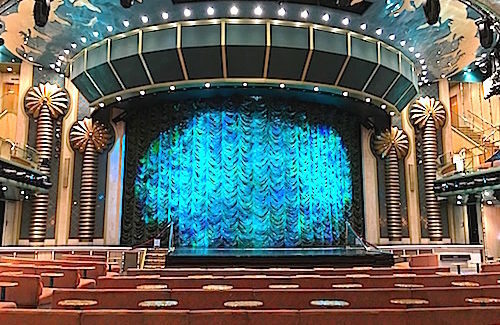 The décor is themed to depict the various oceans and seas of the world. To me it is quite appropriate for a cruise ship and I’m very happy with my first impressions of this 19-year-old-vessel. One of the biggest cruise ships when she was launched in 2000, Carnival Victory underwent a major renovation in January 2018. I don’t know what the ship looked like before the makeover but she’s a beauty now. My cruise is going to be brief so I have a lot of ship to cover in my three-day venture. Tomorrow we will be in Key West. The day after in Cozumel. And then one day at sea before returning to Miami. Carnival Victory has 3,400 passengers aboard on our cruise, according to Monica in guest services. “The two states that we have the most guests from are Florida and Georgia because it is easier for them to drive to the ship terminal,” she added. 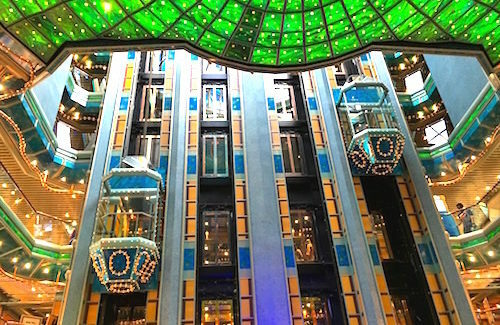 Although our cruise has many repeat cruisers, this short cruise is particularly popular with first-timers, Monica said. “It lets them see what a cruise is like and if they like being on a cruise ship,” she said. Two of those first-timers – Karen and Bob from Atlanta – said they chose this Western Caribbean cruise for their 5th anniversary celebration. “So far, we like it. 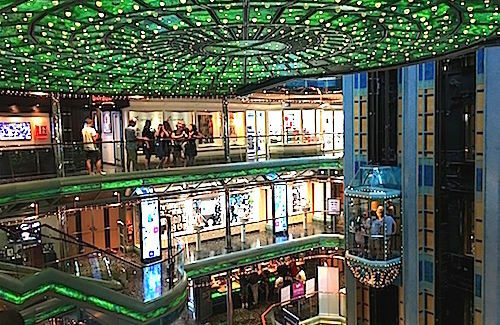 But we just got on the ship,” Bob laughed as the couple stood in line for the buffet lunch on the Lido Deck.